How do Locking Wheel Nuts work? Instead of a standard bolt that can be removed by any shop purchased tool, the wheel locks are only able to be taken off with a specific key. Each key is uniquely coded so it’s not possible for someone to use a key from a different set of nuts to remove your wheels once you’ve protected them with a set of these bolts. 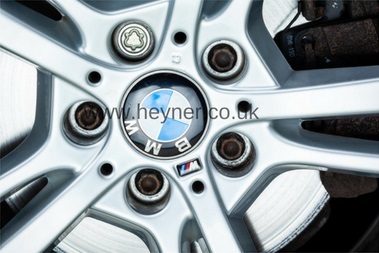 Wheel locking nuts are relatively the cheapest way to protect your expensive alloy wheels from being stolen or damaged. How to install Locking Wheel Nuts on your wheels? Locking wheel nuts are supplied as a set of 4 nuts with locking wheel nuts removal key. 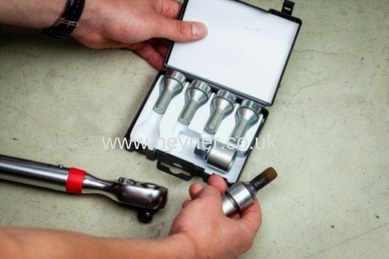 Each Depending on the model of the car you may need a set of locking wheel nuts or locking wheel bolts. The nuts are easy to install. If you are able to change a tyre, then you will be able to fit locking bolts as well. 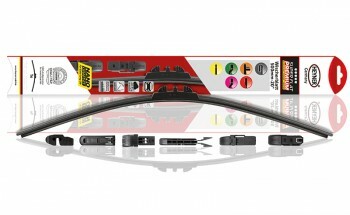 Follow the fitting steps below for correct wheel locks installation. 2. Remove one original nut (bolt) from each wheel using a wheel wrench. Make sure the correct size of the wheel brace is used to remove the nuts. 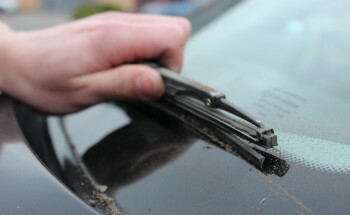 It should be kept in the vehicle at all times in the event of puncture or servicing. 3. Compare the wheel lock and the original wheel nut, they should have an identical thread, length and seat. 4. Take off zinc plated covers from each locking nut. Engage the wheel locking key on to the head of the wheel lock and insert this into the wheel, do it up finger tight. 5. Make sure the key is fully and securely engaged on to the head of the wheel lock. Tighten it up using wheel or torque wrench. Put the stainless steel caps back on the nuts once they are fitted properly. 6. Repeat steps 4 and 5 to fit all the locks for the rest of the wheels7. After the first 60 miles/100km re-check the tightness of the wheel locks and all wheel fixings. It is recommended to check the tightness of the nuts and bolts periodically. We recommend keeping the record of the wheel nut removal key number with your logbook and details of where to order a replacement key in case it is lost. It is important to keep the key in a safe place, always in a car. In case of puncture, you will not be able to change the tyre without it. Removing the locking wheel nuts. The locking wheel nuts are supplied with a stainless steel lock head caps. You will need to pull these caps off the wheel locks before removing them. Use a plastic puller supplied in a box to help to remove the caps from installed locks. Insert the removal key into the lock and use the correct size of the wheel brace to unfasten. 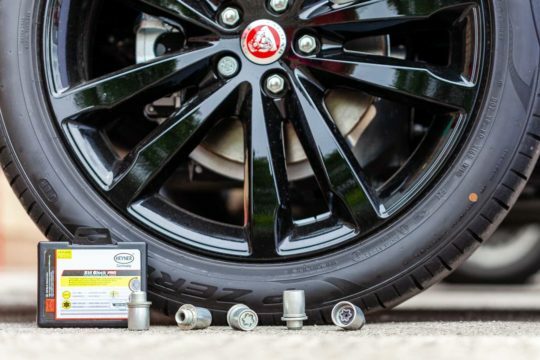 If you need to check a correct size of locking wheel nuts for your car use our locking nuts searcher or contact us with your car’s details, we will help you to choose the correct product for your car.